If you're a K-5 teacher, we know you're probably still relaxing in your beach chair, soaking up the sunshine, listening to the sweet sound of the ocean waves, while sipping on freshly picked coconuts served to you by some cabana boy in a grass skirt on a tropic island. But the reality is, dare I say it, that back to school is just around the corner. Wait, what? You've been working all summer? 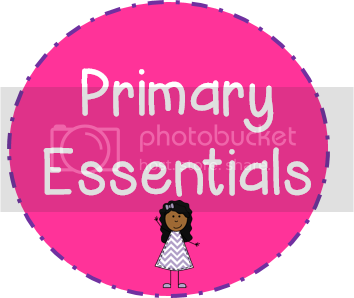 Teaching summer school, attending professional development classes, lesson planning, shopping for supplies, prepping materials and decorating your classroom? Yeah we know. Don't forget we're teachers too. It was just wishful thinking. We do however hope everyone had at least a few days to sit back and relax without thinking about school work. 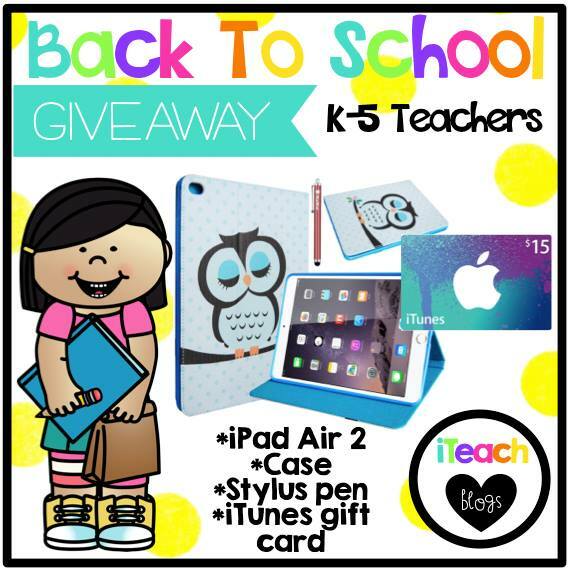 Here at the iTeach Blogs we're excited to announce that we're teaming up to bring you a mega back to school giveaway this year. 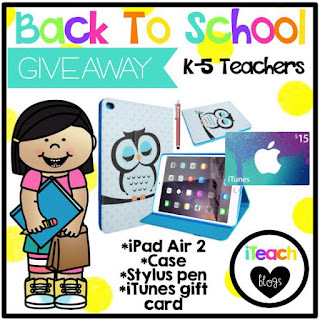 One lucky teacher will win an iPad Air 2 with a cute owl-themed case, stylus pen, and a $15 gift card to iTunes.You can use this iPad as a personal device, to lead whole group activities, as a small group learning station, an individual choice time, or as an enrichment activity. With so many great educational apps available, the possibilities are endless. No matter how you use it, we know it will become a favorite item in your classroom this school year. To enter, just fill out the rafflecopter entry form at the end of this post and leave a comment telling us why you want to win, or how you would use the iPad in your classroom. We are accepting entries from Sunday 8/2 through Saturday 8/8. A random winner will be selected and announced here via the Rafflecopter on Sunday 8/9. Best wishes on this new school year and may the odds be in your favor for the giveaway! Looking for more fun resources? 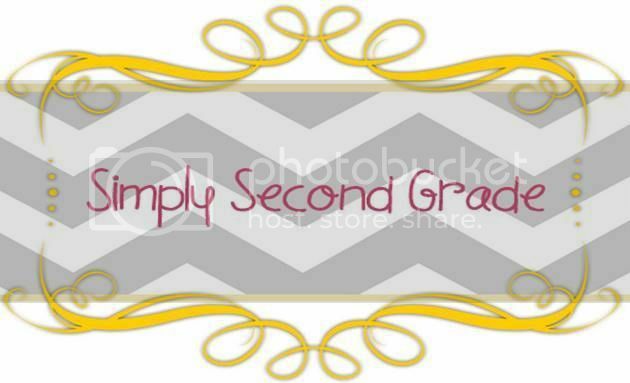 Check out our recommended teacher-made materials for 2nd grade teachers during the site-wide TpT sale Monday 8/3 through Tuesday 8/4. I would love to win because I do not have an iPad and I'm always seeing information about apps to use in the classroom, so I feel I'm missing out! I would love to win the iPad Air 2 because I would love to use QR codes in my classroom. There are a million other reasons too. I would love to win this! I'd love to win this to use in my classroom! This would be my first iPad that was not shared with other classes. That means we could use it whenever we needed! I have relocated to a new state and prior to my move I had 10 ipads in my classroom. Now I have no ipads. I used them a lot in centers and for differentiation. I am going to be lost without a very valuable resource in my new classroom. I would love to win to have current technology to finish preparing to teach. I am finishing my alternative certificate and would love to be ready to teach with technology that the students are used to using and have a chance to be well versed on it when the time comes. I would love to use this as an extension to my center rotations. Students can view our Scholastic News on the iPad, use it to read the QR codes around the building, or anything else that would need a technological component. This is an awesome giveaway! I have been wanting to get some iPads for my classroom to bring in podcast and let student use apps during small group rotations! Thanks for hosting. I am so excited to find this giveaway! An IPAD is such a wonderful resource in the classroom. I would use the IPAD to start my new Class Dojo that I am hoping to use for behavior in my classroom this year. I also LOVE to read, so the Kindle app would be amazing for me to use personally! There are so many wonderful free educational apps now, and I am an old school lady who is continually amazed at all the technology used in schools now. 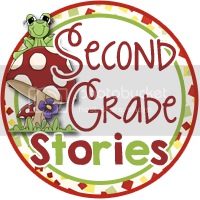 I appreciate your blogs and I am excited that there is a blog for teaching 2nd grade. Thanks for all the great resources that you all make available to the rest of us. Rock on! I would love to win so I would have my own personal ipad and able to download what I want..instead of using the schools. I would love to win because this would be a wonderful tool in the classroom. It would also make a wonderful center for learning as well. I would love to win the IPad to use it in my classroom. What an amazing giveaway!!! I would love to have as a center in my classroom. This would be extremely helpful in my classroom. I currently have no way of reading QR codes in my classroom, so this would allow me to have activities with QR codes for my students to get immediate feedback with center activities. This would also enable me to use Plickers with my students. I super excited for this giveaway! Thanks for the opportunity to win! As a first year teacher, I would love to have an iPad in my classroom for students to use during literacy and math stations. I love incorporating technology in instruction and having an iPad would not only teach my students responsibility with technology, but would allow them an opportunity to practice skills independently! Thank you for this opportunity! My students would love this for our classroom!!! Thanks for the opportunity! Awesome giveaway! 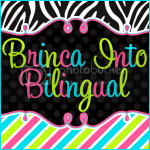 I would use the iPad to help with translation for my monolingual students (I teach ESL). That would allow me to not have to run to the classroom computer all the time! I'm not at a Title I school, so we have to beg the district for everything, since we have bare-bones funding! This would help me provide additional experience with technology both for enrichment and acceleration. 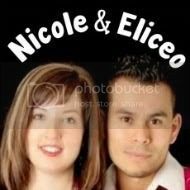 I am a special Education Teacher and would love an IPad for my classroom. I would use it for math fact fluency, reading comprehension, sight words and so much more! The possibilities are endless. What a great giveaway! 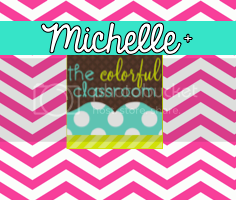 I am a newer teacher and would love to use the iPad with my new chromecast and toy get my year started off organized! I would love to use this in my class for listening and QR Code games! I would love to have an IPad for timers, Kagan accessories, class Dojo, videoing, picture taking and many other things! I would love to win an I Pad to use for Class Dojo. I would love to win an IPad. I would use the IPad daily in my classroom. This would be an extremely valuable tool to used as an excellent resource with my second graders. Technology in the classroom is a huge asset. It is a great motivator as well as a learning tool. The possible uses of an ipad in the classroom are endless. I hope whoever wins this would be as excited as I would be to use this in my classroom. Good luck everyone! I would love to win! I would use the IPad daily. This would be an extremely valuable tool to use with my wonderful second graders. I am teaching 1-2 students per grade level K-5th grade who are Deaf or Hard of Hearing. An ipad would be great to provide another technology based learning center aside from computers and a ready tool to support small group instruction. Students appreciate the visual support in looking up photos and videos for vocabulary expansion and can interact more readily by touching the ipad in practicing and learning skills. I would love to win this so my first graders will have access to the technology that is important in becoming a successful contributor in our technology driven society. We are teaching digital natives. They do not know the world that existed before handheld devices! I use technology every day in my room! I'm at a dual language school. I only have a single laptop computer in my classroom. Having an iPad would open up a world of possibilities! I would love this because I have two iPad 1s in my classroom. They work ok for some things, but they don't have a camera. 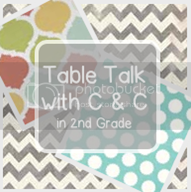 I would love to have something the kids can use to make videos or take pics. The possibilities are endless! Thanks for the chance to win! I think it would be great to have an iPad available for my students to use. There are many excellent apps out there that would benefit my students as well as give them access to the internet for research. I don't have any iPads in my room, so this would be the first. I am sure there is a learning curve as to all the ways I could use it, but I WOULD put it to good use as a student center, etc. Thanks for the opportunity!! I would love to win the IPad because I don't have one and I would love to use it in my classroom with my first graders! Thank you! This is such an amazing giveaway opportunity! I know that an iPad Air would be a wonderful addition to my classroom, and allow me to do so many wonderful things with my students during guided reading and math, as well as other academic areas. It would also be a very useful resource to have in my Daily 5 stations for students to use independently. I have a smartboard and the capability to project the iPad onto it, so this would be an amazing whole group tool to use as well! Thank you so much for the opportunity to win this! I don't own an I-pad and I would love to be able to explore at home and then bring ideas back into the classroom. It would serve as a great teaching and learning tool! An iPad?! This would be amazing!!! 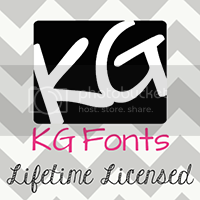 I would love to use this for Epic and using QR codes. 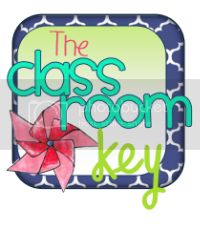 I also want to have my kids use Educreations to create how-to videos for Math. Thanks for the opportunity! I would love to win this iPad! It would be a great asset to my classroom. Working in a title one school, it would give my students an opportunity to use the newest technology that they might not have access to anywhere else. Thanks for such an amazing giveaway!! I would absolutely love to win this! I could use it in my classroom for math and literacy centers, giving assessments, and so much more. This would be great!!! I would love to win to have NEW technology in the classroom. We have two old desktop computers in my class---one doesn't even work. So having something like an iPad would be HUGE! I would love to win an iPad because my classroom does not have any. In fact, our whole school has to share one cart of iPads. Sad. There will be one excited teacher! I would love to win because I currently do not have an IPad in my classroom. I would like to incorporate more technology in the classroom. I use Class Dojo and a lot of QR codes, but I have to use my personal cell phone for these things. It would be great to be able to use the IPad for small group instruction for reading and math. Oh, the possibilities are endless!!! I would use the iPad for intervention & enrichment activities. I would love to win an iPad because I just moved to a new state, a new, town, and a new school. I was given an iPad for my classroom at my old school, but unfortunately I will not be given one at my new school due to funding. I would love to win this, so that I may be able to use the same tools that I used previously in my classroom. I would love this Ipad to use in my classroom! I have wanted to do sooo much with an ipad but never seemt o have access to them! I would love an ipad for my class for math games, phonics, and reading apps. I would love to win an ipad!! Teaching kindergarten this year...lots of wonderful apps for them to use for reading, writing and math. Nevermind the wonderful apps to use a a teacher. So excited!! I would love to win this because I just moved to a new district and have very few supplies in my room! I came from a district with a couple iPads in the classroom and it was such an amazing motivator for the students. If I win this, the iPad will be used for math fact practice, reading, research, and more. Thank you!